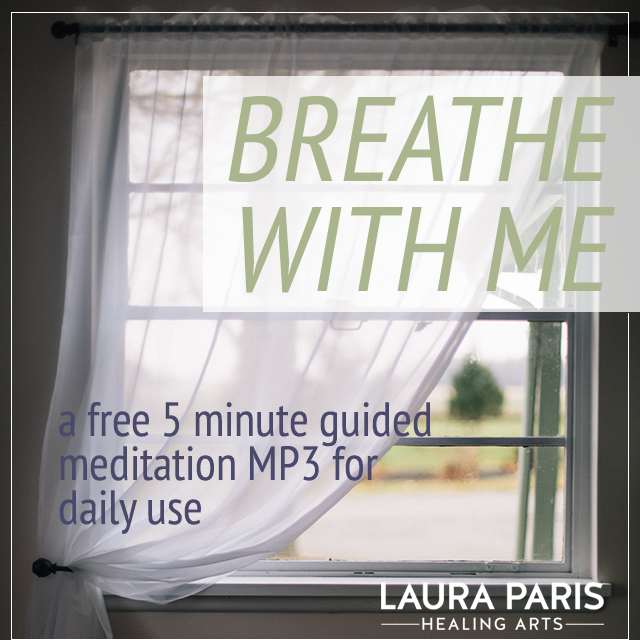 Sign up to receive my newsletter, and relax with my 5 minute guided breathing meditation. FREE! We will never share your information or send you spam. Ever. I solve hormone, gut, and immune problems with a Functional Medicine approach tailored to YOU. Work with me directly, from anywhere in the U.S. by phone or video. I also provide highly effective acupuncture treatment in Monterey California. I solve hormone imbalance, immune dysregulation, and digestive problems. My patients are self-motivated people looking for an effective and holistic approach. I identify root causes of your unresolved symptoms, with compassion and precise clinical skills. See me in person in Monterey, CA. Or schedule a remote appointment via video via video or phone. Drop deeply into restorative relaxation and healing, in the care of a seasoned Acupuncturist. I provide gentle and painless Japanese acupuncture in Monterey, California. Unwind stress, balance your hormones, reset your nervous system, and melt your pain away. I specialize in hormone balance, immune health, stress, pain, and anxiety, for people of all ages. My educational team teaches DIY (Do it Yourself) online Functional Medicine programs, to make this work accessible for those who don’t have access to individual appointments or to accentuate your individual work. See My Hormone Answers to find out more, take fun quizzes, and sign up for updates on the release of new programs. Let's transform your health today! "Laura has been wonderful to work with. I am only in the first few weeks of my Functional Medicine protocol and am already seeing improvements. I feel as if she really listened to me, respected the knowledge that I already have, and was able to jump ahead and apply her advanced training to my situation." "Laura Paris is a gifted practitioner. About two years ago I came to her because I was feeling sluggish about two weeks of every month. I had felt like that for about two years Laura reviewed my blood test results, prescribed a vitamin regime and in a week I felt better than I ever had. 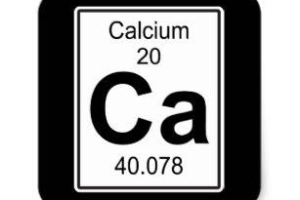 I visit her periodically for blood test result reviews and any changes in vitamin supplements. Laura also helped my 15 yo son who was very thin, had no energy and was depressed. Again, after reviewing blood results was able to prescribe protein powders, diet change and supplements that gave my child more energy and made him FAR more pleasant to be around. I highly recommend Laura to anyone seeking better health and well being." "Laura is an incredibly gifted practitioner. She assisted me in getting pregnant with my now, 9-month-old son (I have PCOS), and saw me all throughout my pregnancy and into the postpartum period (so so needed!). My husband goes to her for his moderate/severe arthritis, as well! Laura has a deep knowledge base that seems to flow effortlessly from her fingertips. She is compassionate, witty and smart. She combines treatment modalities like diet, lifestyle, herbs and movement with acupuncture to give you a comprehensive care plan. Unlike some practitioners, she is thoughtful with her recommendations, and doesn't try to upsell you on anything that may not be in your best interest. She's always current on the latest research, and forever taking courses and conferences to increase her skill. "Laura is really patient and knowledgeable. I've been trying to figure out two autoimmune issues on my own for about a year, and made some progress, but I started to feel like I had gotten as far as I could on my own. It is so nice to have a guide instead of the obsessing, compulsive research, and guessing! I'm so grateful to have her kindness and expertise. Because I was working on this on my own for so long, I get kind of intense about it and tend to have a lot of questions, and she handles it really well and doesn't make me feel bad for wanting to understand the complexities. It feels amazing to be on the right track. Already I feel more present with my children and am enjoying our daily routines again. I feel confident that we're figuring it all out. I've only had two appointments and Laura has already honed in on a root cause that my struggles stem from." "I look forward to my appointments, they're relaxing and help me to destress. I began seeing Laura due to my PCOS. Since working with Laura, my cycles have become regular, and I am ovulating!" "Laura is an excellent acupuncturist! I went to her for a couple of things - back pain, shoulder pain and sleeping problems. Within hours of my acupuncture treatments more than 80% of my pain was gone. She is great!" "Laura is the consummate professional in her various fields. I have used her for many years as an acupuncturist for sinus and respiratory ailments with great success. She is so skilled with the needles and so knowledgable about herbs that are helpful. I have taken many Feldenkrais classes from her that have so helped me with various aches and pains resulting in relief and such improved ease of movement. With her expertise in nutrition, Laura was able to suggest the proper testing to determine that I was, indeed, as she predicted, sensitive to glutens and other foods. An added bonus: she has a wonderful, compassionate "bedside manner" and a great sense of humor for those lighter moments when you are with her. I don't know how I would do without her!" "Laura listens, and then feels into what I need to provide the purest form of health care. She is present and allows time for your body to integrate the treatment. She is a joy to work with!" "Laura's Feldenkrais classes have made a world of difference for the sciatic pain I had as well as for general all over feeling better. I would not want to be without her classes! Her acupuncture has helped boost my immune system as well." "Laura is a leader in Functional Medicine. Her thirst for knowledge and innovation is infectious. I love Laura's approach to working with women in particular. Happy to have her in my professional circle. I'm always interested to see what she's up to and appreciate brainstorming with her on my toughest cases." "Moved to Monterey and desperate for an acupuncturist as good as the one I left (and skeptical I could). She conducted a long consult and we worked together to piece together things that have worked in the past coupled with her assessment. We have ongoing debriefs after each session to dial in specific approaches for specific issues. I learned it is good to explore new options in this experience. Grateful to have found Laura. AND she isn't phased by sorting out insurance companies." "I have been seeing Laura for almost 15 years and have always had amazing care and compassion. She has brought me through some of the toughest times of my life, including now, while I'm battling some very difficult health issues. She always provides me with alternative methods to regain my health and has successfully kept me off of powerful western drugs. THANK YOU LAURA!" "The Central California Coast is really blessed to have Laura Paris, Functional Medicine Practitioner as well as many other healing modalities, to empower individuals to heal their bodies by addressing the root causes, attaining whole body wellness gently and powerfully after dealing with years of chronic issues. If you feel that standard Allopathic Medicine is not enough and you are not making the health progress you want and need to live a full life, contact her to learn about Functional Medicine." "Laura Paris is my “go to” acupuncturist and healer... we’ve worked collaboratively for many years and I trust her with my most valued patients. I always know Laura will get them in quickly, treat them professionally, and with immense kindness and empathy. Having a collaborator like Laura has really helped our community find their strength and helped bridge the gaps where eastern and western medicine juxtapose one another. I’m eternally grateful to her for her skill set and friendship." "Most of my life I have struggled with a sugar and yeast imbalance. Although I was able to get mild relief from time to time, I thought it would be a constant, lifelong, losing battle. I arrived at Laura's office desperate for some relief. Laura provided an analysis of my body, metabolism, and provided fascinating information about the function of biofilm. She even helped me figure out some of my efforts we're actually working against me! Laura and I worked together to develop multiple strategies to finally start to get some relief. Overcoming sugar cravings and an intense yeast balance was no easy task. However, with Laura's guidance, it finally became came realistic. After a few months of diligence and determination, I feel as though I am on top of it for the first time in my life." "Favorite appointment to go to! Laura is kind, gentle, and ridiculously smart. I love that she can break down super tricky science info into comprehendible terms (just check out the website for some life changing articles!) I started going to her for infertility acupuncture, who knew that was even a thing?! It was a low point in my life, and she was so empathetic and informative. I have switched over to seeing her for more self care/ occasional shouldn't have done that move at the gym pain. She has a gentle, compassionate touch, and her goal is your health!" "Laura did the impossible – she turned me into a morning person. One of the most wonderful side effects of getting my hormones rebalanced is that I am getting amazing sleep. I can now fall to sleep at a decent hour, stay asleep throughout the night, and wake up at a decent hour in the morning after a solid 7 to 8 hours of sleep. I feel much better equipped to handle life’s stresses and not have it affect my health. I fight off colds easily and rarely do I spend a day walking around with brain fog. And I’m still getting better every day." "I had been seeing my doctors about my stomach problems for a few months and they weren't doing anything to help me. So a close friend of mine told me about Laura. The first time I met Laura, I was a mess. I couldn't eat anything without feeling sick. Laura was so kind and sweet, and let me cry to her about how stressful it was to feel like a "prisoner" of my own body. We talked about my options and what I was willing to try (at this point I was willing to try anything). We added some probiotics, vitamins, acupuncture, and and I watched what I ate. "Laura Paris is the medical sleuth I prayed for. After 60 practitioners, two ER visits and tens of thousands of dollars - with still no diagnosis or treatment (apart from painkillers and antibiotics that made matters much worse), I started working with Laura. She took on my advanced and complex case very seriously and fearlessly. She made a thorough assessment of my history, symptoms, environment, diet and activity, then ordered tests that no other practitioners ever did. Now after four years of being homebound sick with constant physical pain, we have a diagnosis and a treatment plan which she has written up for me very clearly. Honestly, I was on my last hope, and now I can say Laura it is probably saving my life. She is ridiculously smart and always learning more by studying and attending courses and conferences. On top of that she is a very clear communicator, generous, caring and alot of fun to work with." "Laura is a gifted practitioner with a wonderful ability to develop rapport and make you feel comfortable. She is extremely knowledgable about women's hormones and I would recommend her for anyone wanted to get their health back." "Thank you SO much for the acupuncture session! I can honestly say I feel so much more relief with this than I have a message or any medication I have taken so thank you thank you thank you! I will be seeing you sooner rather than later, I’m sure!" 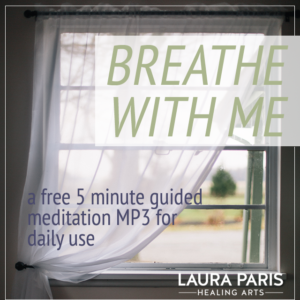 "I’d like to express my appreciation for what Laura Paris is doing for my health on an ongoing basis. When I started seeing Laura, I was suffering with symptoms from a debilitating autoimmune disease. Through Laura’s acupuncture treatments and gentle guidance in making important dietary and lifestyle changes, I am in complete remission. Laura has given me the tools to take control of my health, which I will forever be grateful." "Good Morning! I just wanted to thank you for a wonderful session yesterday. I slept so good & this morning I feel good. I'm so happy that I am being treated by a skilled professional. Thank you once again & have a great weekend." "After actively trying to get pregnant for almost a year, I became pregnant once I started seeing Laura for acupuncture. In fact, I conceived the very first week I started seeing her. Not only did I have a very healthy, happy pregnancy but I had a very healthy, happy baby. I know she played a role in this. To say that she is amazing at what she does would not begin to attest to the magnitude of care and skill she provides. She is extremely knowledgeable and devoted to her patients. Her compassion goes beyond measure and she felt like so much more than an acupuncturist...she felt like a friend. She provided me with the utmost care during my pregnancy journey and I will be eternally grateful to her. If you are struggling to get pregnant or looking into acupuncture for any other reason, Laura Paris is the person to see. I can't sing her praises loud enough." "I have nothing but wonderful things to say about Laura and her healing practice. I went to Laura dealing with severe anxiety, fatigue, and depression that came on rather suddenly. Through thoughtful interviews and investigation, she was able to help me figure out that I had been dealing with hormonal imbalance due to Hashimoto's disease. She helped me navigate my diet and use food and supplements to help heal my imbalance in addition to acupuncture treatments to help me manage my anxiety, Laura is truly a healer and I highly recommend friends and family to her without hesitation. Thank you so much, Laura, for all of your thought, care and active listening - I am truly grateful!!" "Laura is a talented knowledgeable practitioner who through her wisdom helped me navigate feeling poorly in less than a month with her diagnosis and prescriptive nutrition approach." "I have been seeing Laura for about a year for unexplained weight gain, anxiety, insomnia, and infertility. I was feeling pretty hopeless after seeing a number of doctors. Laura ordered extensive testing which revealed conditions which my doctors completely missed, imagine their surprise when I brought my labs back to them which showed a clear, treatable diagnosis! After a year of hormone balancing supplements, adjustments to my medications, and lifestyle changes, I finally feel normal again! I highly recommend Laura’s services, both functional medicine and acupuncture. Thank you so much Laura!" "Hi Dr. Paris. Maybe you are used to this, but you have helped improve my overall well-being to such a degree that I get all starry-eyed when I see you. You have guru status, celebrity status...whatever you want to call it! I truly do not know what I would do without your support at this point. You speak the language I want to hear. I have been seeing western doctors this last year prior to seeing you, seeking their help...pining for a connection to one of them, an answer, a clear direction to take at least. I am glad I did all the testing and groundwork, I can't change that...but man, I was ripe and ready to come see you. I was down for so long, feeling so off and not knowing why, scared, frustrated. Thank you for helping me! From the bottom of my heart, thank you. I am a better version of myself than I have been in a really long time." "Laura is a gifted acupuncturist. I highly recommend her!" "Pregnant at 40 thanks to Laura! I had a difficult time conceiving my second child. After two consecutive miscarriages, I knew that I had to go back to Laura. I have known Laura for five years now. She has helped me tremendously with my many allergies and with the fertility of my first child. So when I was having difficulty conceiving my second child, I visited Laura for help. She knew what to do right away and with her support and wealth of knowledge, I became pregnant soon after my first visit with her. Laura is kind, caring and very knowledgeable but above all she is patient. I am the type of client that comes in with a list of questions and often I am received with frustration by others. Not with Laura! She listens actively and always has an insightful response to my every question. Her healing center is warm, clean and relaxing. For these reasons, I look forward to my appointments with her. I recommend Laura to anyone needing a health tune-up to those of us with difficulty conceiving. She is a hidden gem!" "Laura has been wonderful to work with over the last few months. When I started seeing her, I had been dealing with several health issues including hormone imbalance, thyroid problems, exhaustion and sleeplessness. I also have an autoimmune disease. She has been so helpful with everything. After a few short months, I am feeling healthier, my sleep has regulated and my hormones are more balanced. I am so thrilled and very thankful for all Laura has done for me! She is a joy to work with." "I've been working with Laura for nearly seven years now. First it was in person with her deeply healing acupuncture, combined with Traditional Chinese Medicine when needed. At times we addressed specific issues, but mostly it was for overall well-being. I savored my visits and felt completely held in her care and expertise. In the last year I have been working with Laura intensely on healing my gut dysbiosis as a way in to addressing a constellation of other health issues known as Metabolic Syndrome. I have learned so much about how my body works best, and have seen encouraging improvements on many fronts. I still appreciate my face-to-face visits, but I enjoy our phone appointments, too. And I absolutely rely on Laura's new website: my patient portal holds my entire visit history, labs, prescriptions, her recommendations and conversations. I can refer to them at any time, ask a quick question or make an appointment whenever I think of it. What I most enjoy is how versatile and intelligent Laura's care has been and how she challenges herself to keep growing. If she doesn't know enough about a topic, she will certainly find out. She's a wise counselor with a friendly twinkle in her eye and lilt in her voice. I feel I have a true partner who's fully invested in my total health and helps me be as well." "Laura is extremely present and answers all of my questions thoroughly. She is flexible and honors my experience unlike many other medical professionals who don't listen as well. She has helped to improve my energy, hormones, food cravings and health. She cares so much and loves her work which shows. I always look forward to visits. She's perfect!" "If you are looking for an ultra-personalized care plan, Laura is one of the best practitioners available today! As a highly-trained Chinese and Functional medicine practitioner, her care plans also integrate the patient’s physiologic presentation, minimizing treatment aggravation and expediting progress." "My very first acupuncture experience was with Laura,I saw her regularly for about a year for a chronic pain problem. Laura was attentive to my needs and concerns; she is an excellent listener and was very reassuring. I probably relaxed in my "zone" longer than most patients but left each session feeling pain free and rejuvenated." "Laura was the first (and only) acupuncturist I have visited. She spent lots of time talking to me about my issues and asking good followup questions. She was the first person to point me in the direction of going gluten-free, which has been revolutionary for my health. The treatment itself was relaxing and very enjoyable, I left her office in a blissful state. She has also treated my husband successfully for migraines. I highly recommend Laura!" "I am a Midwife and regularly refer to Laura for fertility, miscarriage support, PCOS, fatigue and adrenal issues, pregnancy (normal and variations like gestational hypertension, breech, pelvic and back pain and labor prep), and postpartum support. I trust Laura with my clients, and I know they will be fully supported. She is clinically skilled, thorough, thoughtful, and smart. It is a pleasure collaborating with Laura. She is respectful, brilliant, and I learn so much each time I work with her." "I absolutely am so gratefully blessed for having Laura be in my life. I have finally met the angel that knows the secret to my troubles. Laura, thank you for your wisdom, kindness, and love you share with me and others to help make us healthy, beautiful, and our best. "Laura has amazing healing abilities. I had a home birth, and Laura was there to help me stay focused and comfortable as I prepared. Every community needs an acupuncturist like Laura!" "I started seeing Laura for acupuncture because I have PCOS. I had a history of miscarriage and was ready to have a baby and my midwives recommended her. I wasn’t sure about acupuncture, but Laura’s knowledgeable, warm and caring presence made me feel comfortable, starting with our very first appointment. Every time, Laura checks in with how I am feeling to explore what I need out of the session. I always feel genuinely cared for. My goal when I first began was to overcome infertility and get pregnant, and have a healthy pregnancy, and that’s what happened! I consider it an amazing bonus that every session I feel so relaxed as well. Thanks to Laura, I was able to get pregnant, and stay pregnant! During my pregnancy, she helped to relieve the morning sickness and headaches I experienced in the beginning and helped induce labor at the end, and everything else in-between. I even received a hand-written card from her after I had my baby (whom she met at my first postpartum session)! Laura is amazing at what she does, what I’ve experienced has been relaxing and healing and transformative!" "I was very ill 6 months ago, and with Laura's help and practices of Functional Medicine and Acupuncture, today, I am sleeping, my hair has stopped falling out, my forever hot flashes are minimal, I have lost weight, and I have energy again. Thank you. I am so grateful." "Laura paid close, unhurried attention to my health story, and asked for targeted labs to be taken. She gives you the feeling that you are important as you sit with her. She knew from my symptoms and their trajectory what labs to have me take. She was on the button! She then designed a protocol for my specific thyroid issues and sent me home with a list of supplements to order. It was remarkable how much better I felt in just weeks on the protocol. I hadn't felt that good for several years. I had already been on thyroid medication and Laura's plan was to see if we could optimize things nutritionally. I still use Laura's services for functional medicine, nutrition and acupuncture." "I feel like an angel has been sent for me and that's Laura! I have been to many doctors/ Naturopaths/ and Functional medicine doctors and not any of them were able to create an effective treatment plan for what's going on with me. Dr. Laura is getting to the bottom of my issues and I look forward to working with her for a long time. She is intelligent, patient, caring, and compassionate. Did I say diligent?! Thank you for what you do."